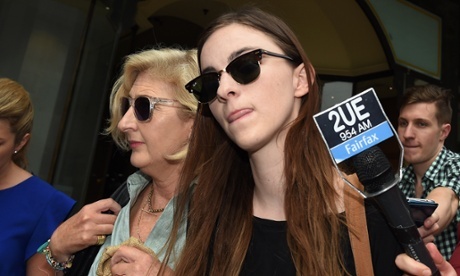 No conviction will be recorded against a 21-year-old whistleblower for accessing confidential files that revealed the prime minister’s daughter, Frances Abbott, received an undisclosed $60,000 scholarship. Freya Newman, a former part-time librarian at the Whitehouse School of Design, was given a two-year good behaviour bond. Newman appeared in Sydney’s Downing Centre local court on Tuesday after pleading guilty in September to one count of unauthorised access to restricted data. Newman accessed student records that showed Frances Abbott had attended the design school on a “managing director’s scholarship” at the recommendation of the college’s chairman and Liberal party donor, Les Taylor. Abbott was only the second recipient of the prize, which was not advertised to other students. Whitehouse has declined to detail the application process and criteria for awarding the scholarship. According to its website, Whitehouse “does not currently offer scholarships to gain a place”, but the college has maintained it offers a variety of scholarships and all “are discretionary and awarded on merit”. Newman was not able to argue that the disclosure was in the public interest as Whitehouse is a private institution and falls outside public-service whistleblower protections. The courtroom was crowded with friends and supporters who stood in the aisles and spilled out into the halls of the complex. Outside the court, activists carried signs reading, “Free Freya” and “Blessed are the truth tellers”. Magistrate Teresa O’Sullivan said the seriousness of Newman’s offence had been “at the lower end”, and that the confidential information she accessed had been neither highly secure nor highly sensitive. No “significant harm” was caused as a result of the breach, O’Sullivan said. She added that Newman had pleaded guilty at the earlier opportunity and resigned from the design school the day after accessing the restricted information. Her relative emotional immaturity and lack of impulse control as a young person had “to some extent impaired” Newman’s decision-making, and media attention had had a “significant impact” on her mental health, O’Sullivan said. Nonetheless, O’Sullivan cited the “need for denunciation of Ms Newman’s conduct” and the imperative to “deter similar behaviour in future” in placing the whistleblower on a two-year good behaviour bond. Activists outside the court cheered as Newman departed, surrounded by family and a media scrum. She made no comment. The long-running ‘Frances Abbott secret scholarship’ saga is expected to come to a head tomorrow, with the sentencing of whistleblower Freya Newman. 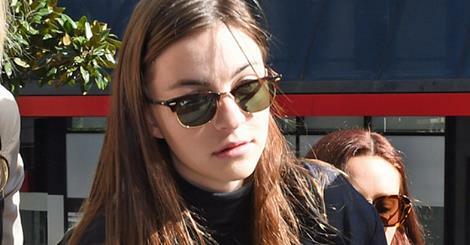 University student Freya Newman will face the Downing Centre Local Court tomorrow for what is expected to be the final time, after pleading guilty to accessing the student records of the prime minister’s daughter Frances Abbott earlier in the year. In September Newman pleaded guilty to breaching Section 308(H) of the NSW Crimes Act, after using the log in details of a fellow staff member at the Whitehouse Institute of Design to retrieve Ms Abbott’s records. The records revealed the prime minister’s daughter had paid just over $7,000 for her $68,000 degree, and received the award after just one meeting with Whitehouse Institute owner Leanne Whitehouse. The Institute and the Prime Minister’s Office have continued to argue the secret scholarship was granted on the basis of merit, but have been contradicted by a former teacher of Ms Abbott, the school’s own website (which still reports that no scholarships are available), as well as other students at the Institute. After helping to make the scholarship publicly known, Newman was pursued legally. At an October hearing Newman’s lawyer, Tony Payne SC, argued that Newman had not realised her actions were illegal, and that despite decades of experience in criminal law, even he had not realised using the log in details of another staff member to access records was a criminal offence. He submitted that Newman had been encouraged to access the records by other staff members, but that she was also motivated by a sense of injustice. He also noted that Newman had pleaded guilty at the earliest possible date and expressed contrition, including writing a letter of apology to Ms Abbott. Prime Minister Tony Abbott with daughter Frances and wife Margaret, at the Whitehouse Institute in December 2013. Police are pushing for Newman to have a conviction recorded for the offence, but have agreed it was on the lower end of offending, effectively ruling out the possibility of a two-year jail sentence, the maximum available for a breach of 308(H). However, police prosecutor Amin Assaad told the Court in October that although Newman had not gained “financially or personally” from her actions, recording a conviction was necessary in order to deter other potential offenders. Frances Abbott recently spoke publicly for the first time about the incident, forgiving Newman for accessing her records but comparing the 21-year-old to a “small child”. “To be honest, it’s just like as a small child you learn it’s not right to read someone’s diary. It’s not right to hack into anything,” Ms Abbott said. After completing her studies Ms Abbott was given a job by the Whitehouse Institute, though a staff register revealed she was the only employee without a formal job description. Her father, Prime Minister Tony Abbott, has still refused to update his parliamentary interests register, despite acknowledging Frances was his dependent at the time, and despite reporting numerous small benefits received by his children, including flight upgrades and tickets to free events. Whitehouse Institute stands to benefit substantially from proposed Abbott Government reforms to higher education, with more than $800 million in public funding being released to private colleges for the first time. * New Matilda is an independent Australian media publication. We rely predominantly on subscriptions for our survival. You can help fund us here. Or just help us by sharing this story on social media. Overturn Senate Bill 508: defend the First Amendment rights of prisoners, journalists & all of us. This campaign will launch the Prison Radio Defense Fund to defeat PA Senate Bill 508 – signed by Governor Tom Corbett – which prohibits prisoners and those formerly incarcerated from speaking publicly. 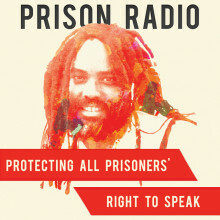 The law targets journalists, non-profits and individuals who aid prisoners in communicating to the outside world. November 6, 2014, Chicago – Today, the Center for Constitutional Rights (CCR) and co-counsel at the People’s Law Office and the Federal Defender Program in Chicago filed a motion to dismiss a terrorism indictment against two animal rights activists alleged to have freed mink and foxes from fur farms. The activists were indicted under the federal Animal Enterprise Terrorism Act (AETA), which punishes causing damage or loss to a business or other institution that sells animals or animal products, or to a “person or entity having a connection to, relationship with, or transactions with an animal enterprise.” CCR attorneys argue that the AETA is unconstitutional because it makes no distinction between loss caused by criminal acts and loss caused by boycotts and other constitutionally-protected activity, and that, in any event, punishing non-violent activity as “terrorism” is an unconstitutional denial of due process. Kevin Johnson and Tyler Lang were indicted under the AETA in July for allegedly releasing mink and foxes from two rural Illinois fur farms. They previously faced state charges of “possession of burglary tools” after a police search during a traffic stop turned up items such as wire cutters. Both men pleaded guilty to the State charges; Mr. Lang was sentenced to 170 days in prison, and Mr. Johnson 30 months. They face up to 20 years in federal prison if convicted of the AETA charges. This week, the Supreme Court is also considering the AETA, in response to CCR’s civil challenge to the law, Blum v. Holder. 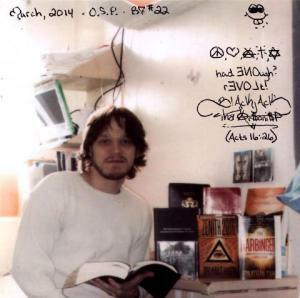 Blum was file in 2011 on behalf of five longtime animal rights activists with long histories of participating in peaceful protests and advocacy efforts, who have limited or even ceased their lawful advocacy out of fear of being prosecuted as terrorists. Blum seeks to have the AETA struck down as vague and overbroad in violation of the First Amendment. The First Circuit Court of Appeals ruled that the plaintiffs were not permitted to sue because they could not show that their prosecution under the law was “certainly impending.” In August, CCR asked the U.S. Supreme Court to review the case, and it is scheduled for conference on November 7, 2014. Read the motion filed today here. 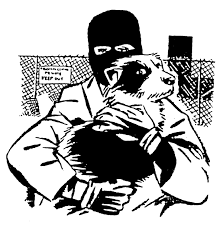 For more information on the fur farm raid case, visit CCR’s case page, U.S. v. Johnson. United States v. Johnson is a federal prosecution of two animal rights activists for allegedly liberating animals from fur farms in violation of the Animal Enterprise Terrorism Act. On November 6, 2014 CCR, and co-counsel at the People’s Law Office and the Federal Defender Program in Chicago, filed a Motion to Dismiss the Animal Enterprise Terrorism Act indictment of Kevin Johnson and Tyler Lang. In July of 2014 Johnson and Lang were indicted under the Animal Enterprise Terrorism Act (AETA) for allegedly releasing mink and foxes from fur farms. They previously faced state charges of “possession of burglary tools” after a police search during a traffic stop turned up wire cutters and other similar items. Both men pleaded guilty to the State charges and served jail sentences. They are now facing up to 20 years in federal prison if convicted of the new terrorism charges. Passed by Congress in November 2006, the AETA is aimed at suppressing speech and advocacy by criminalizing First Amendment-protected activities such as protests, boycotts, picketing and whistleblowing. It targets animal rights activists, but includes language so broad and vague it could be used to prosecute labor activists who organize a successful boycott of Wal-Mart, or union members who picket a university cafeteria. CCR has moved to dismiss the indictment by arguing that the AETA is facially unconstitutional on overbreadth grounds because it criminalizes protected speech that causes an “animal enterprise” to lose profits or business goodwill. CCR also argues that the statute is unconstitutionally vague, because its terms are so broad as to criminalize practically every property crime that has an interstate component and is undertaken against a business, allowing for (and resulting in) arbitrary and discriminatory enforcement against animal rights activists. Finally, we are also challenging the AETA on substantive due process grounds, because it would punish as an act of “terrorism” non-violent theft of private property. On this basis, CCR and co-counsel have asked the Court to dismiss the AETA indictment as unconstitutional. PHUKET: Thailand’s Justice Ministry has declared that two Phuket journalists are guilty of criminal defamation even though the trial judge has yet to hear any evidence in the case. The surprising ruling comes in response to a request by the journalists, Alan Morison and Chutima Sidasathian, to have a special fund at the ministry cover the cost of their bail. ”We now have doubts that we can get a fair trial in Thailand if we have already been declared guilty by the Justice Ministry,” Morison, who edits Phuketwan, said today. In a case that has been condemned by rights groups, including the United Nations, the journalists are being sued for republishing a 41-word paragraph quoting directly from Reuters news agency. The paragraph formed part of a series of articles on the Rohingya boatpeople that won the Pulitzer for the news agency. While the English-language version of the paragraph does not mention the Royal Thai Navy, a Thai-language translation used by Phuket police in the prosecution specifically mentions the Navy three times. The ruling against the application for bail was made in July but a copy of the judgement by the Rights and Liberties Protection Department, Justice Ministry, only reached the journalists this week. The two journalists say they were aghast to read this judgement from the Justice Ministry when their trial in Phuket Provincial Court is not even scheduled to hear evidence until mid-July next year. Khun Chutima, a reporter at Phuketwan, said: ”This letter is from the Rights and Liberties Protection Department, yet they clearly have no interest in protecting my rights and liberties. This is totally unfair. Earlier this year, the Phuket Damrungtam (Complaints) Office declined to ask investigating officers at Vichit Police Station why they had pursued the case against the journalists without first questioning the Navy officer who lodged the complaint. Morison and Khun Chutima face lengthy jail terms as a maximum sentence if found guilty of criminal defamation and a Computer Crimes Act charge. Morison is an Australian citizen. His passport has been seized, making him a prisoner in Thailand. He is unable to visit his ageing father, who turns 91 later this month. Australian authorities and the country’s Bangkok ambassador have declined to ask for his passport to be returned, even though it is the property of the Australian government. The British government recently succeeded in having the passport of one of its citizens, Andy Hall, returned. He faces similar charges to the journalists, but brought by a pineapple processor. 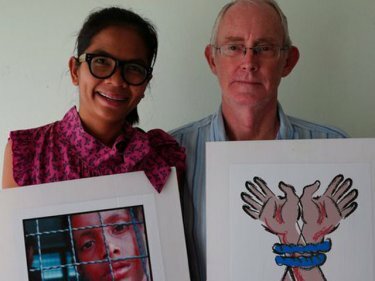 Morison and Khun Chutima have vowed to continue reporting the saga of the Rohingya and other boatpeople who are being abused, raped and sometimes killed in Thailand’s secret trafficking camps. The journalists’ coverage has won awards and international acclaim. The action makes the navy look like a bully, and gives the impression the admirals would like to intimidate the media. Instead of defending the navy’s honor, the criminal defamation suit holds it to question. Instead of silencing the media about the story – concerning the navy’s role in the mistreatment of Rohingya boatpeople – the lawsuit repeats it, to more people and at greater length. 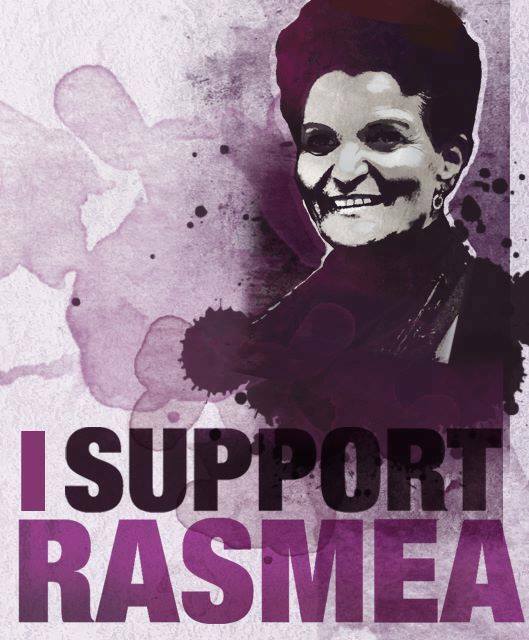 Without a full and fair trial, Rasmea found guilty. Detention hearing at 2 PM. Indigenous Peoples’ Rights in Australia? Join us for a broad discussion ranging from the over-imprisonment of Indigenous peoples; the need for recognition of Indigenous peoples in Australia’s Constitution; changes since the Royal Commission into Aboriginal Deaths in Custody; tackling racial discrimination; the pressing public health challenges facing Indigenous communities; and what it’s like to have advocated on these issues over the past thirty years. Tom Calma is a prominent Indigenous rights leader and the former Aboriginal and Torres Strait Islander Social Justice Commissioner and Race Discrimination Commissioner at the Australian Human Rights Commission. Ron Merkel is a leading Australian human rights barrister and former Federal Court Judge who has successfully run a number of important Indigenous rights court cases.